St. Bernard was born at the castle of Fontaines, in Burgundy. The grace of his person and the vigor of his intellect filled his parents with the highest hopes, and the world lay bright and smiling before him when he renounced it forever and joined the monks at Citeaux. All his brothers followed Bernard to Citeaux except Nivard, the youngest, who was left to be the stay of his father in his old age. “You will now be heir of everything,” said they to him, as they departed. “Yes,” said the boy; “you leave me earth, and keep heaven for yourselves; do you call that fair?” And he too left the world. At length their aged father came to exchange wealth and honor for the poverty of a monk of Clairvaux. One only sister remained behind; she was married, and loved the world and its pleasures. Magnificently dressed, she visited Bernard; he refused to see her, and only at last consented to do so, not as her brother, but as the minister of Christ. The words he then spoke moved her so much that, two years later, she retired to a convent with her husband’s consent, and died in the reputation of sanctity. 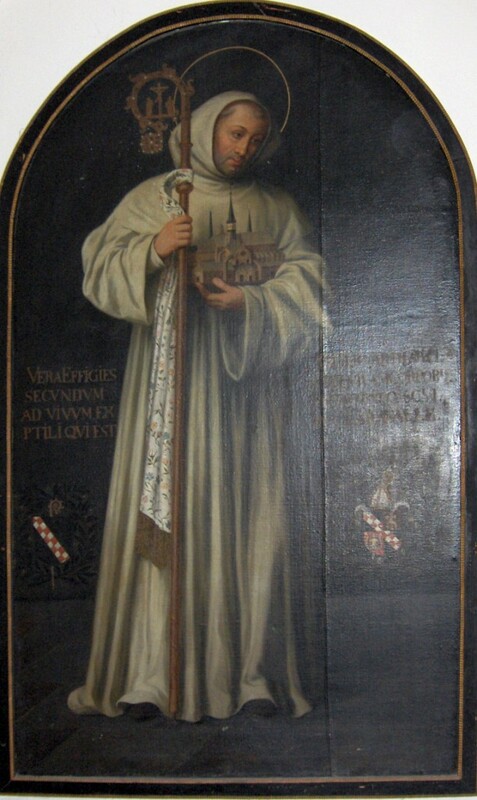 Bernard’s holy example attracted so many novices that other monasteries were erected, and our Saint was appointed abbot of that of Clairvaux. Unsparing with himself, he at first expected too much of his brethren, who were disheartened at his severity; but soon perceiving his error, he led them forward, by the sweetness of his correction and the mildness of his rule, to wonderful perfection. In spite of his desire to lie hid, the fame of his sanctity spread far and wide, and many churches asked for him as their Bishop. Through the help of Pope Eugenius III, his former subject, he escaped this dignity; yet his retirement was continually invaded: the poor and the weak sought his protection; bishops, kings, and popes applied to him for advice; and at length Eugenius himself charged him to preach the crusade. By his fervor, eloquence, and miracles Bernard kindled the enthusiasm of Christendom, and two splendid armies were despatched against the infidel. Their defeat was only due, said the Saint, to their own sins.